Hello everyone. Will here and today, I am bringing you the October 2018 PC build of the month. This build is geared more toward the enthusiasts but you can substitute some cheaper components to make this for an everyday gamer. So, without further delay, let’s get to it. First up, we will start with the processor at the heart of this build. 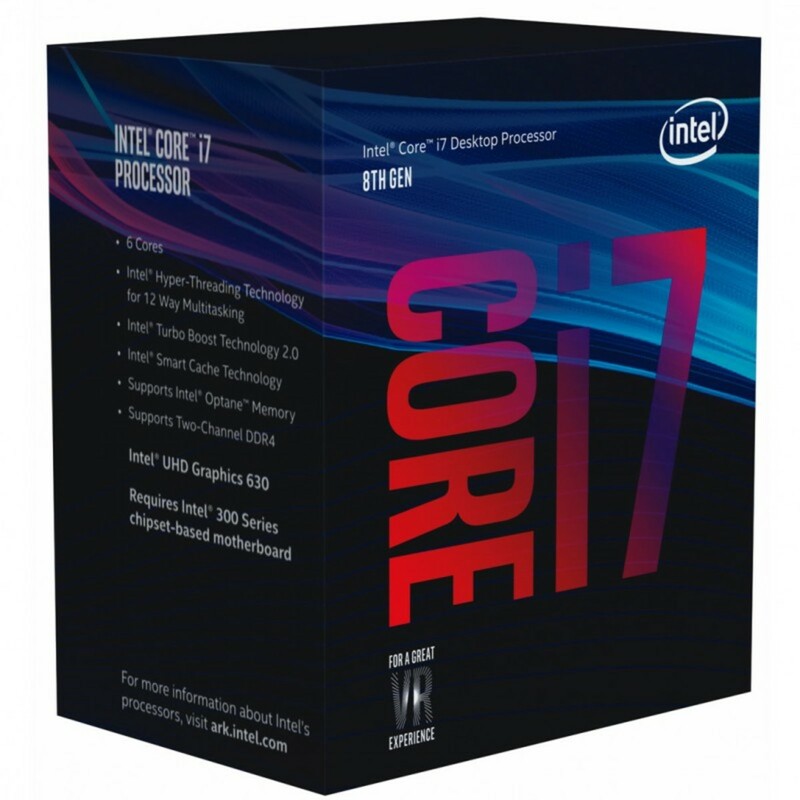 In this build, I am going with the top end Intel Core i7-8700K processor. This processor will give us a lot of options and will allow for the best gaming numbers in terms of frames per second. The Core i7-8700K is Intel’s flagship processor of its 8th generation Coffee Lake series processors. 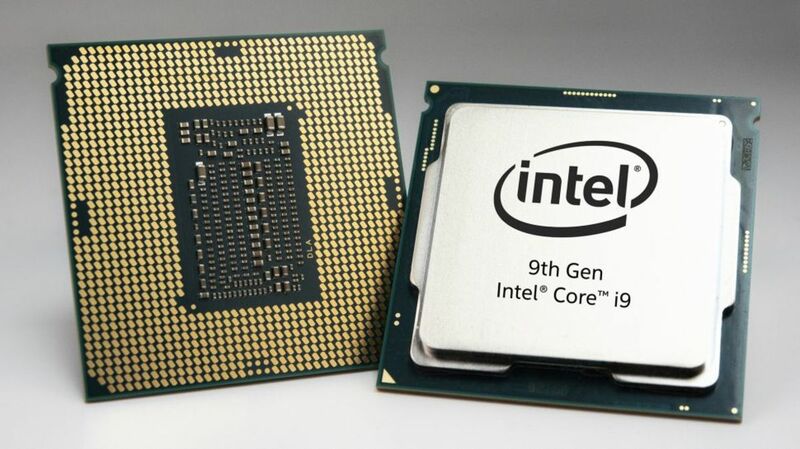 The processor comes with 6 cores and 12 threads. Out of the box, you can expect a 3.7GHz base clock and a boost clock up to 4.7GHz via Turbo Boost. The processor has a TDP of 95-watts and remains on the LGA 1151 socket though not compatible with previous generation chipsets such as Z270. The 8700K supports DDR4 RAM up to 2666MHz in dual channel configuration. 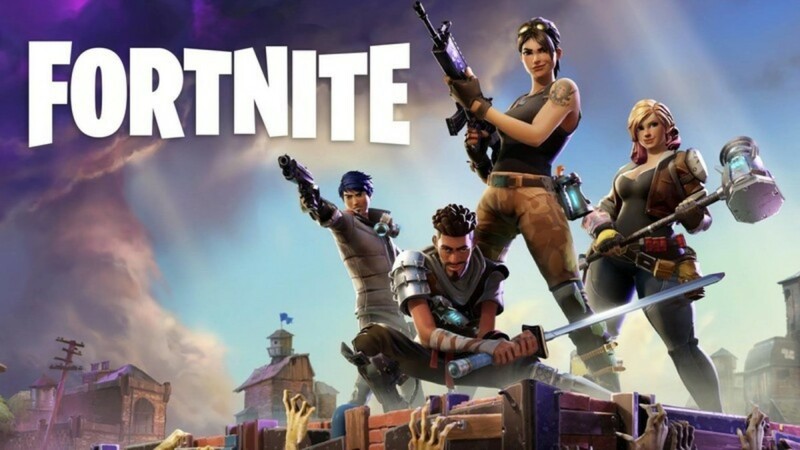 The processor is also unlocked allowing for overclocking and currently is outrageously priced at both Amazon and Newegg coming in at $399 but can commonly be found for around $349. Next up is the motherboard. 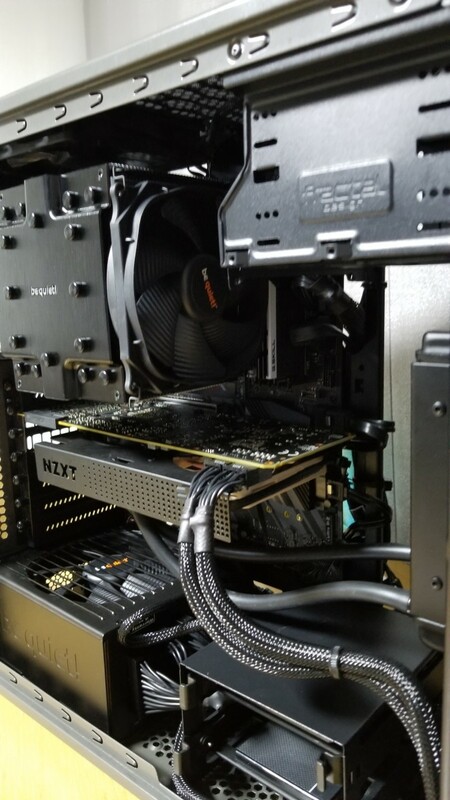 For this build, I have gone with the ASRock Extreme4 Z370 motherboard. This is not ASRock’s top end board but is a great overclocking board with very similar features as ASRock’s top end offering but minus a few of the features like onboard Wi-Fi. 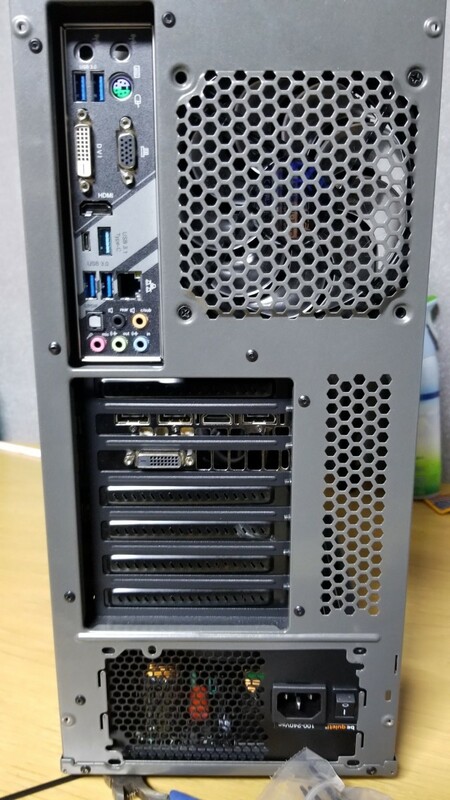 The onboard components like the VRM, chokes, and power phases are pretty much identical to ASRock’s top boards (See link below for further information). 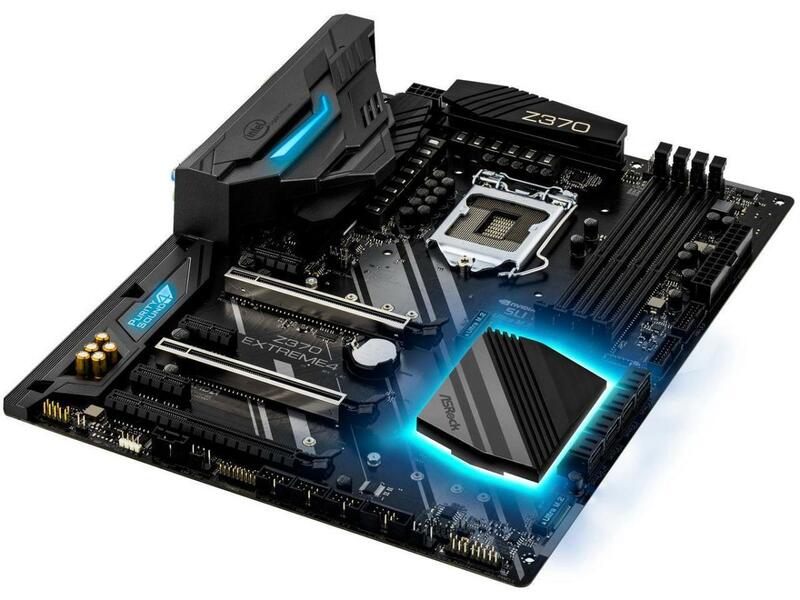 This board has 4 RAM slots supporting up to 64GB of DDR4 memory at speeds up to 4333MHz. This board supports 8th generation processors and sports a 12 power phase design. There are plenty of chassis fan support as well as additional watercooler support in addition to CPU water cooling support. This motherboard can be found on Newegg for $165 and on Amazon for $170. For RAM, I went simple with a respected brand at a reasonable price. 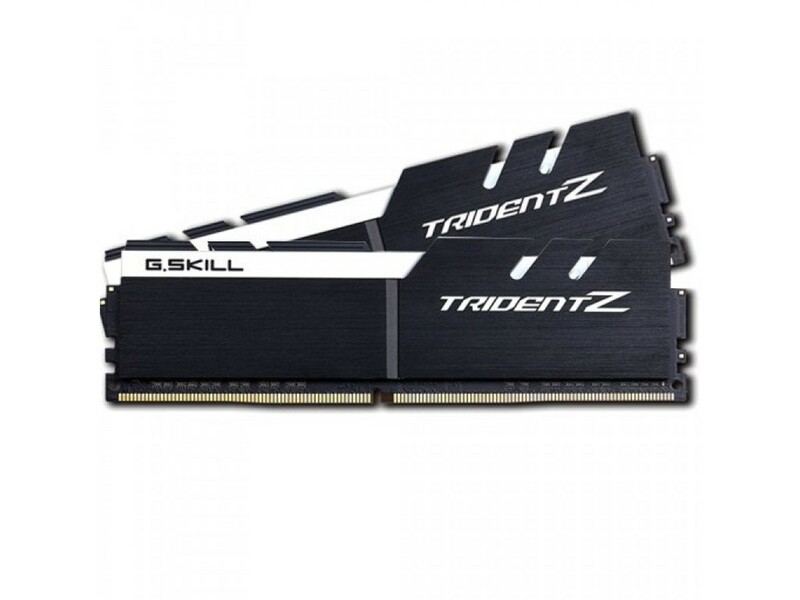 For this build, I went with G.Skill TridentZ, 16GB in 2x8GB modules. This RAM is clocked at 3200MHz and hits the advertised speeds out of the box by simply installing and turning on the XMP profile in the BIOS. Not a lot to say about the RAM except it works flawlessly and comes in at a decent price at just $150 on Newegg and $160 on Amazon. Now, given the CPU does not come with a cooler, you will have to purchase one. For that, I went with the be quiet! 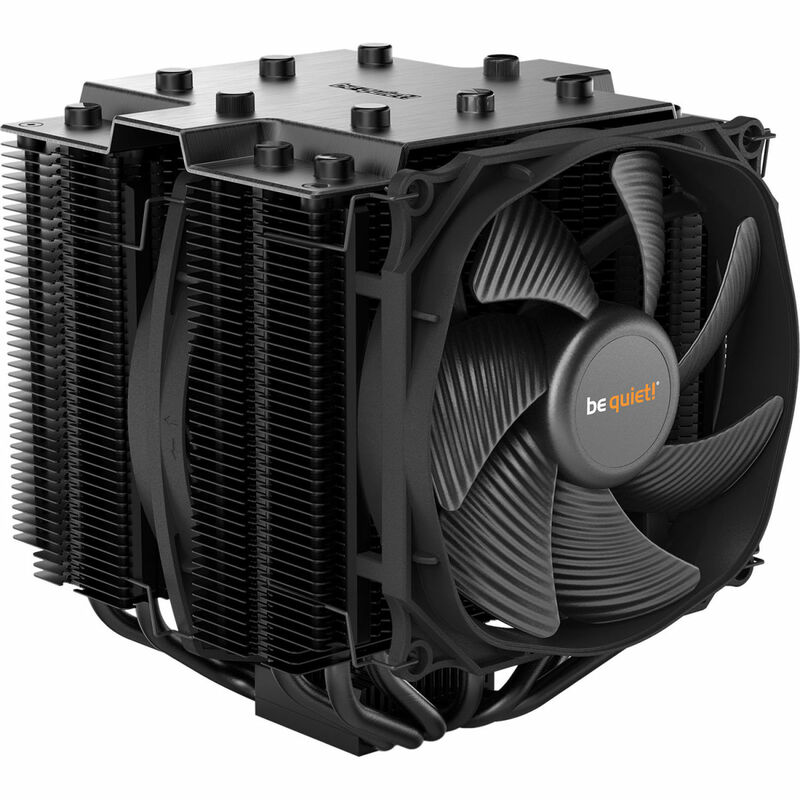 Dark Rock Pro 4 tower, air cooler. 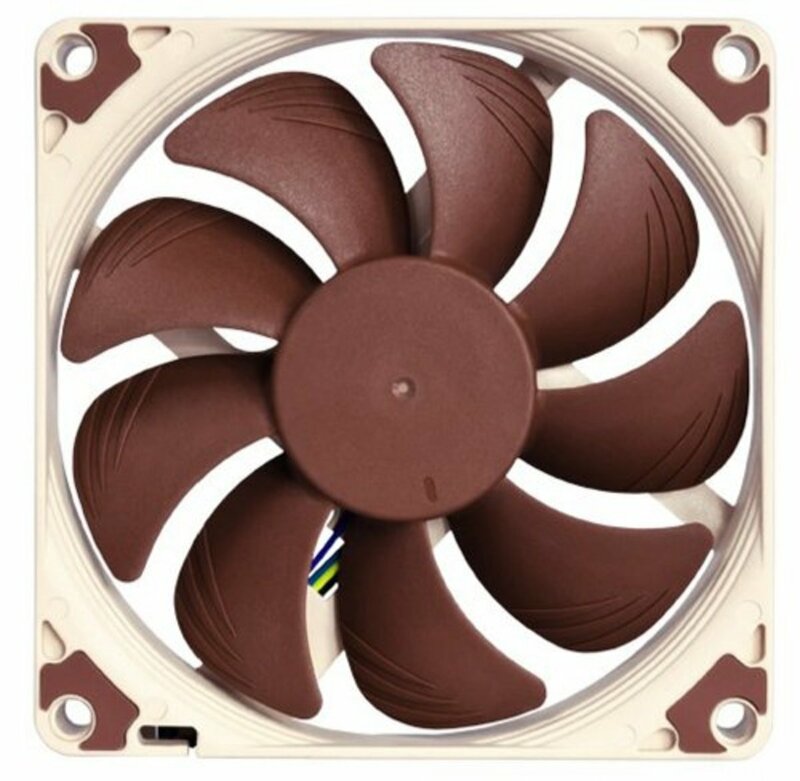 This is a large tower cooler meant to compete with Noctua’s NH-D15 and it does. On the 8700K overclocked to 5.1GHz with 1.35 volts, the CPU never goes over 78 degrees Celsius at full load and runs around 31 degrees Celsius at idle. 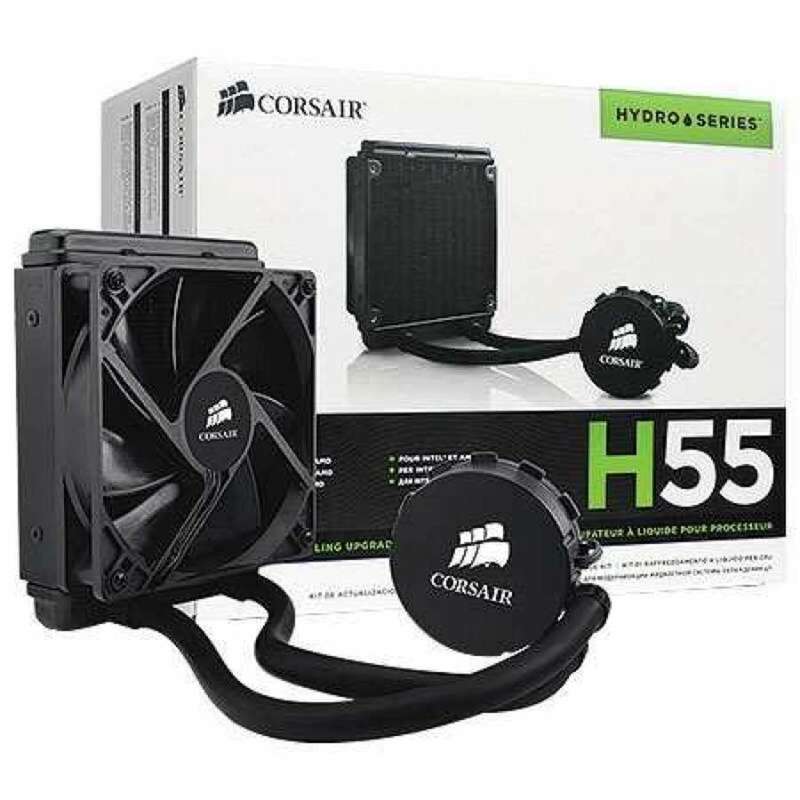 This cooler can be purchase for right at $90 on both Amazon and Newegg and is well worth the money you pay for it. For storage, I went with multiple SSDs and an NVMe drive. 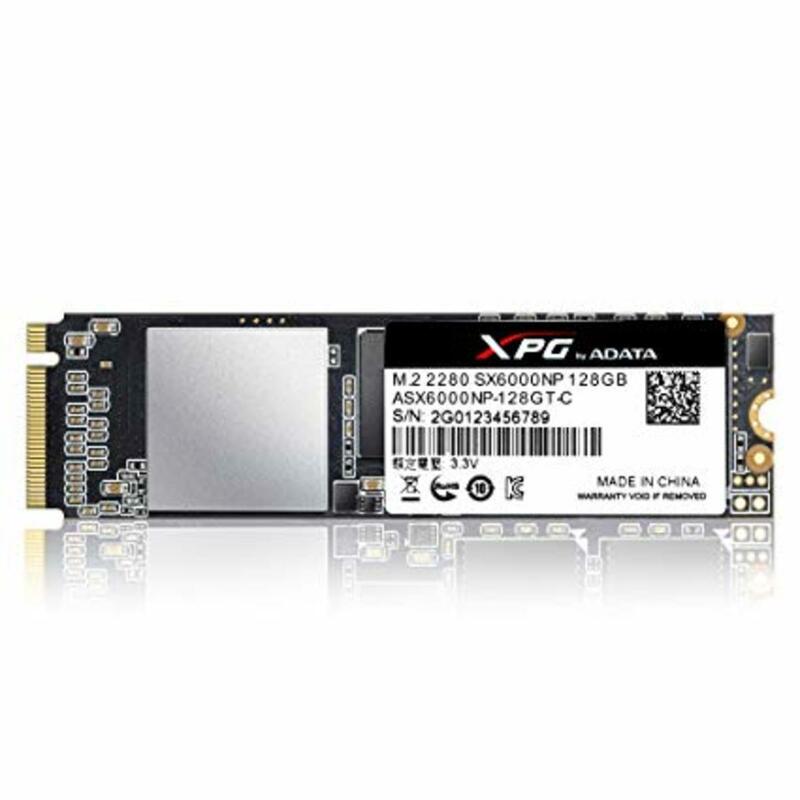 For the main drive and operating system, I went with ADATA’s XPG SX6000 256GB M.2 NVMe SSD. This is a nice little NVMe drive that can be purchased for around $55. 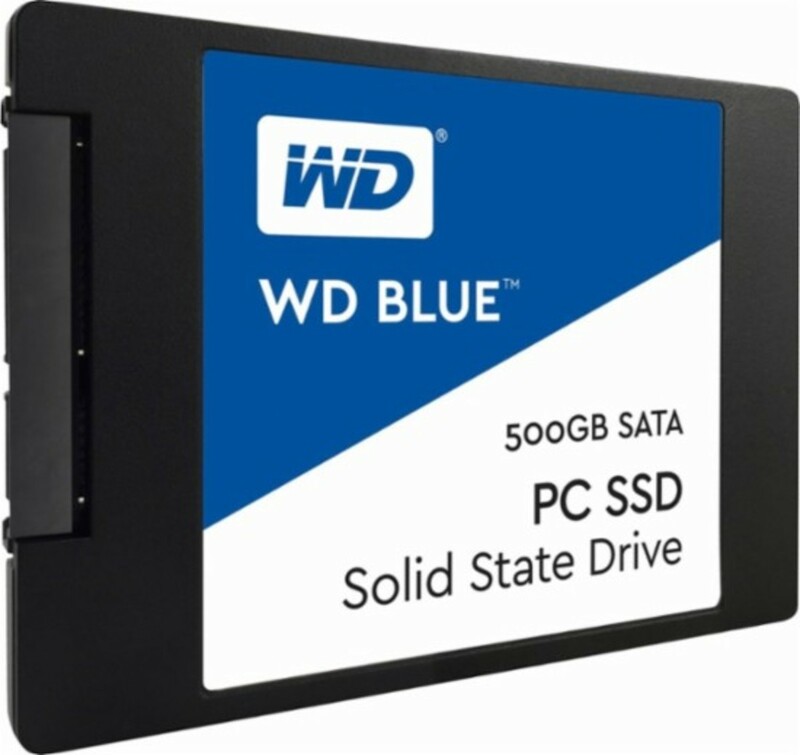 In addition to this, I went with an PNY 240GB SSD, a Samsung 860 Evo 500GB SSD and a Western Digital Blue 500GB SSD for games and other programs. 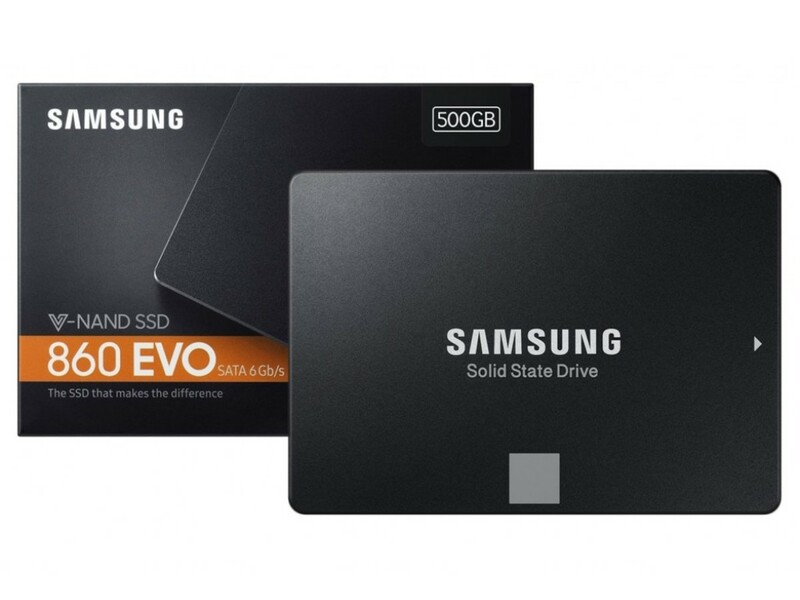 All of these SSDs can be had for under $100. For the graphics card here, I went with the EVGA GTX 1080 Ti SC2 edition. 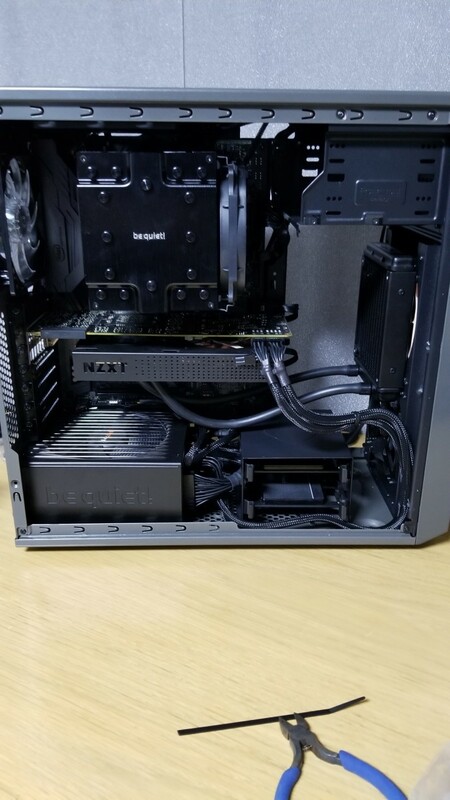 This is a great card out of the box but I did go with aftermarket cooling by adding the NZXT Kraken G12 bracket, Noctua 92mm fan, and Corsiar H55 AIO water cooler. By adding this setup, the GPU stays under 55 degrees Celsius under full load, around 20 degrees Celsius at idle and the VRMs stay around 75 degrees Celsius. 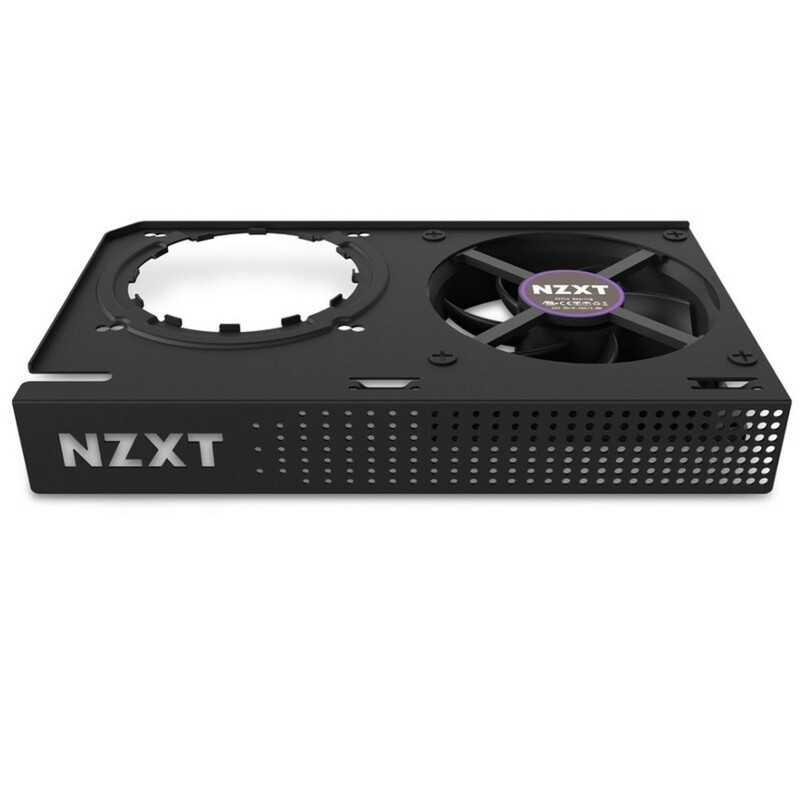 With these temperatures, the card maximizes its full potential running at a stable core clock of 2050MHz and memory has a steady clock of 5805MHz (11610MHz effective). 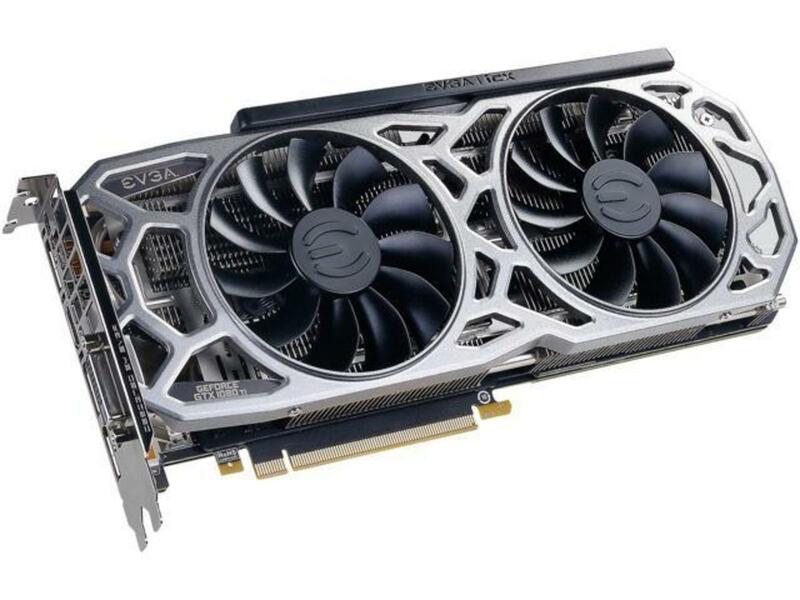 The EVGA GTX 1080 Ti can be purchased for around $700 -$730 which is fine for this card and will do you well. 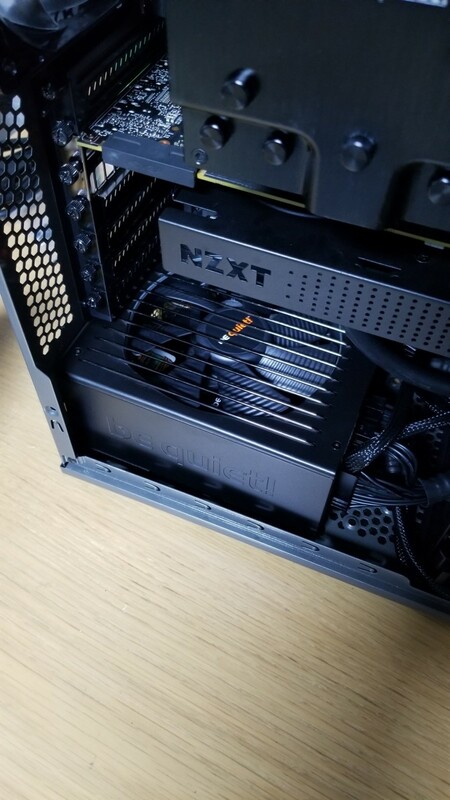 If you want to add the aftermarket cooling setup, you will have to pay around $80 more. 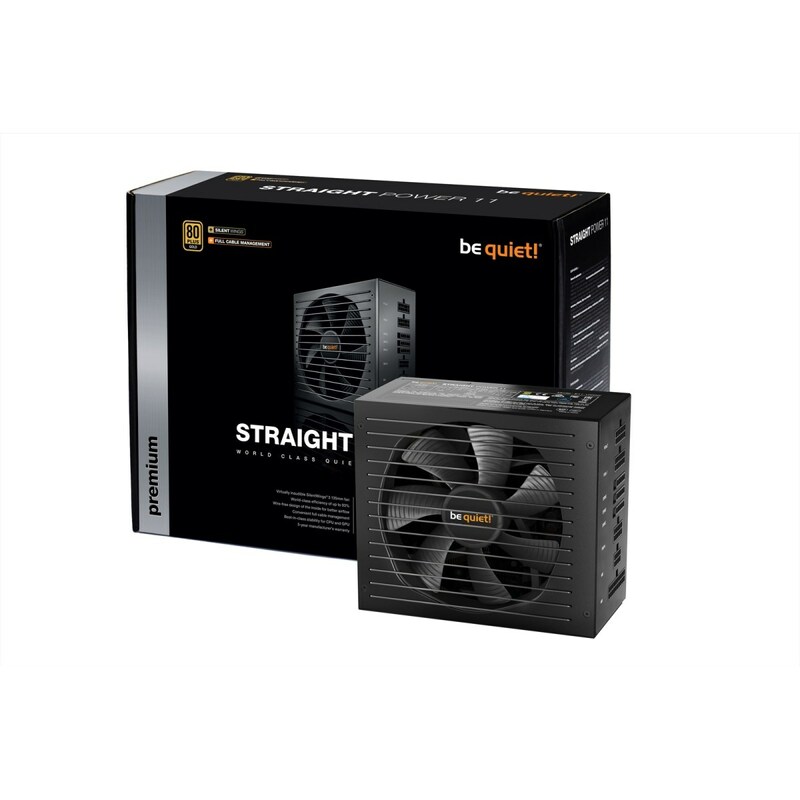 To power this system, I went with the be quiet! Straight Power 11 1000-watt power supply. This is a bit overkill for this system but gives you a lot of overhead to overclock to the maximum and add other components. 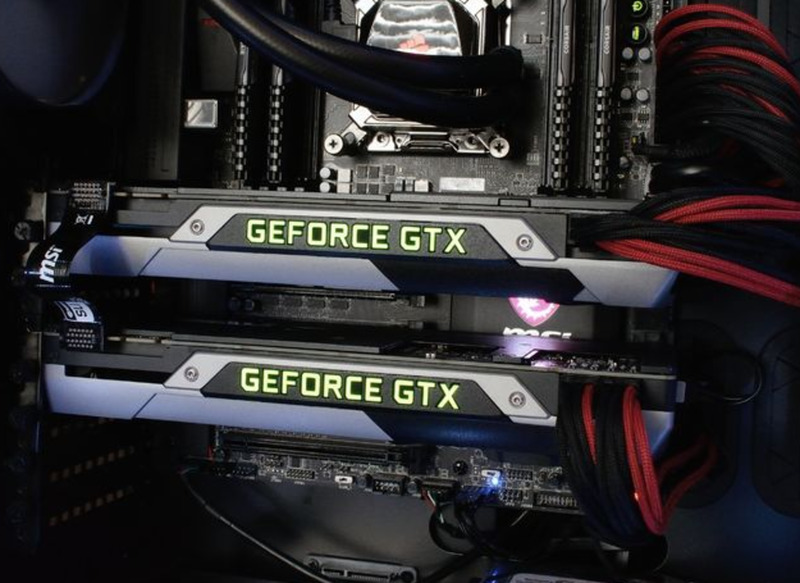 This will allow you to add multiple GPUs if you want do nVidia SLI or even changing out GPUS for multiple AMD Vega cards. There is plenty of power and the PSU is quite efficient and virtually silent. However, the $200 price tag my push some people away so, you can downgrade to a lower wattage PSU or another brand and get a decent one for quite bit lower price, even at 1000 watts. To house this system, you could go with just about any case but with these components, you may want to go with a more enthusiast-like case than I did. I went with the Fractal Design Focus G in gunmetal gray with black and gray interior. I went with the case because of the color scheme obviously to match all of the black components. 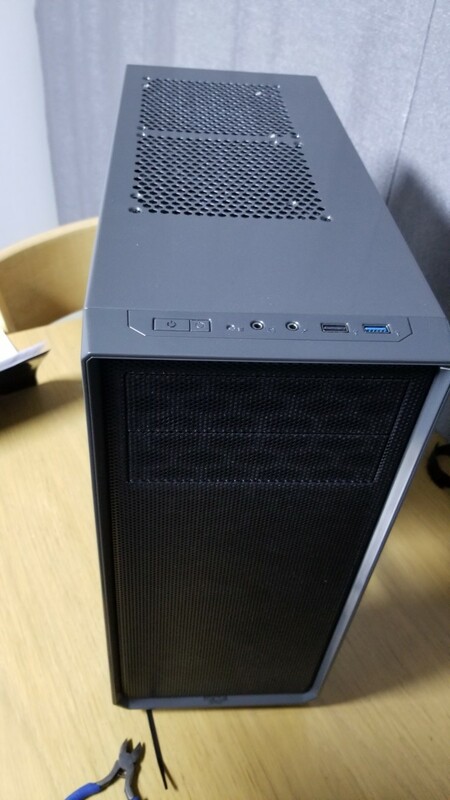 For around $60, you cannot really beat this case for what you get. 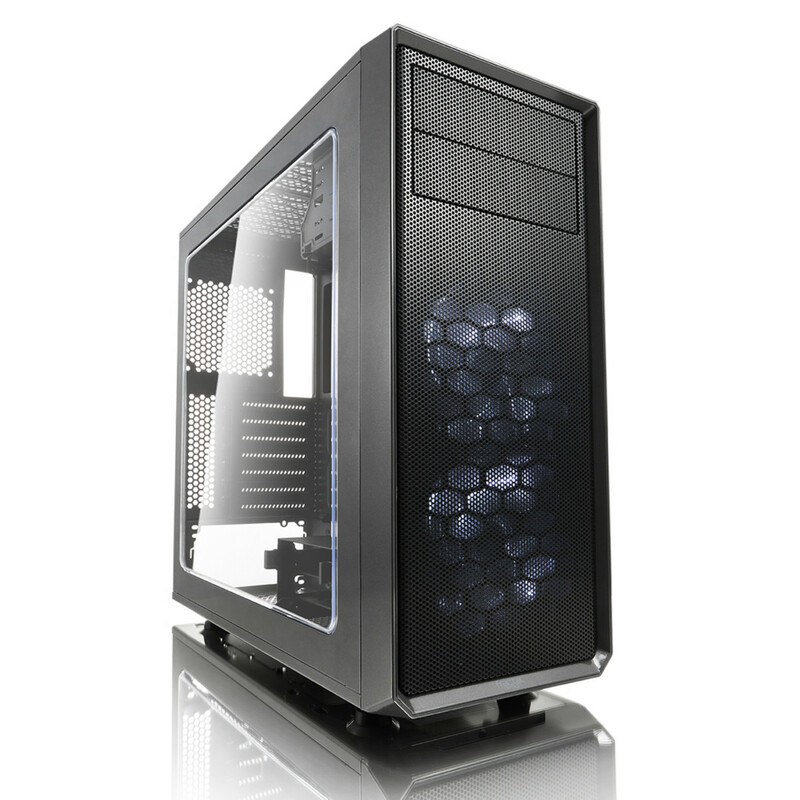 There’s plenty of room inside and a clear side panel to see your components. 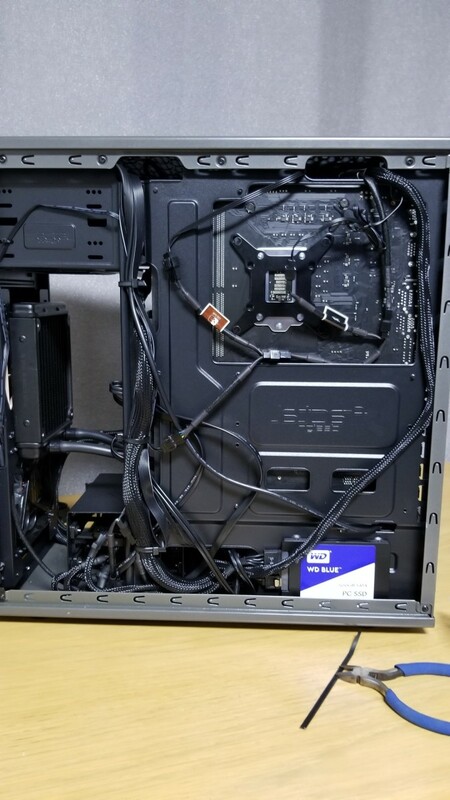 My only complaint is the limited cable management space. Otherwise, this is a great case. Overall, you can build this system for around $2300 but you can substitute some things to bring the price down to under $2000. So, there you have it, my October 2018 PC build of the month. Hope to see you next time. Would you change anything in this build?